Just wanted to add more photos, from the update. 1. Adorable orange and white boy who had been hiding and acting feral on the street, but quickly showed us how tame and sweet he was, once trapped, warm and fed. He was quickly adopted. 2. 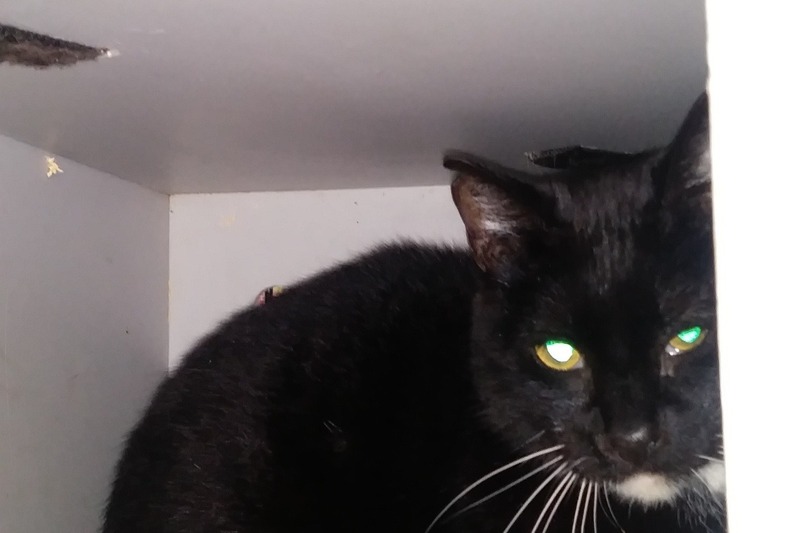 Senior tuxedo boy who had been on the streets, immediately after being trapped. He went to the Vet, had some dental work along with everything else, and then went to live in a barn with huge outdoor spread. The loving adopter named him "Bilbo" and adopted a buddy "Fredo", six year old black and white boy from the same area. 3. 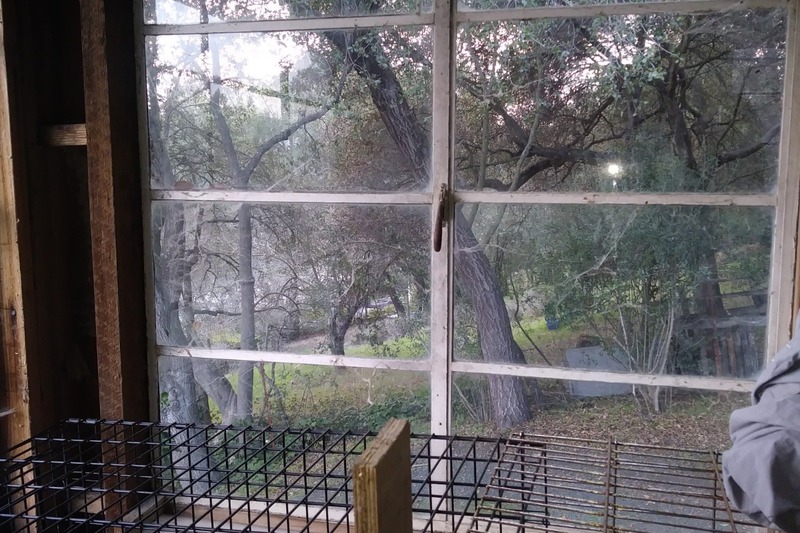 View from the barn where the boys are getting adapted. They'll be free to roam the barn tomorrow, and get to go outside soon! Some overdue updates, good news to share! Pics attached of the first two cats written about here. 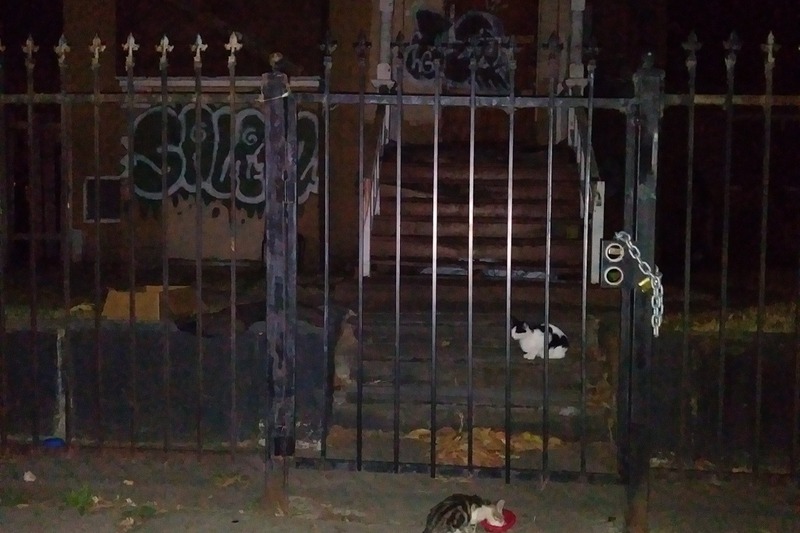 During the course of trapping an average of ten cats per week in Oakland for spay-neuter, we found that three of the more tame but skittish acting cats we took in, were previously fixed, lost, microchipped cats. 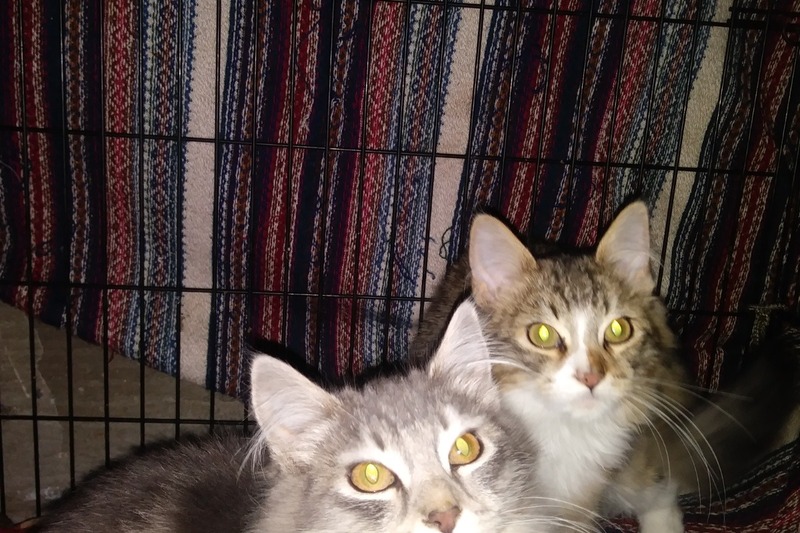 It is always a great joy to get these cats off the street and reunited with their owners, or when there is no owner located, getting them into adoption. One of these, was a beautiful medium haired black cad fed by a retired Marine in his front yard for a year, along with other stray and feral cats who frequented. We knew John, and we saw how tame this cat was, and how she sat under cars at night. 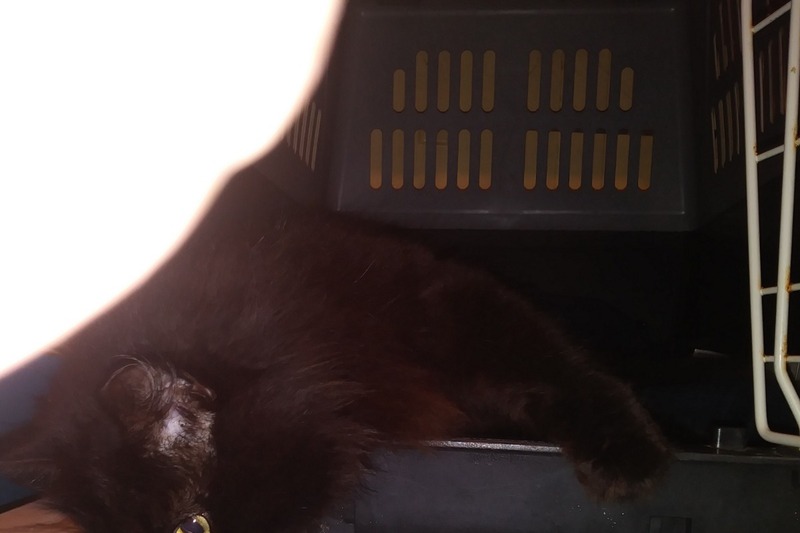 We offered to take her to the Vet and get her off the street after taking her to the Vet Clinic. She turned out to have been previously fixed and microchipped, to Cat Town years ago! 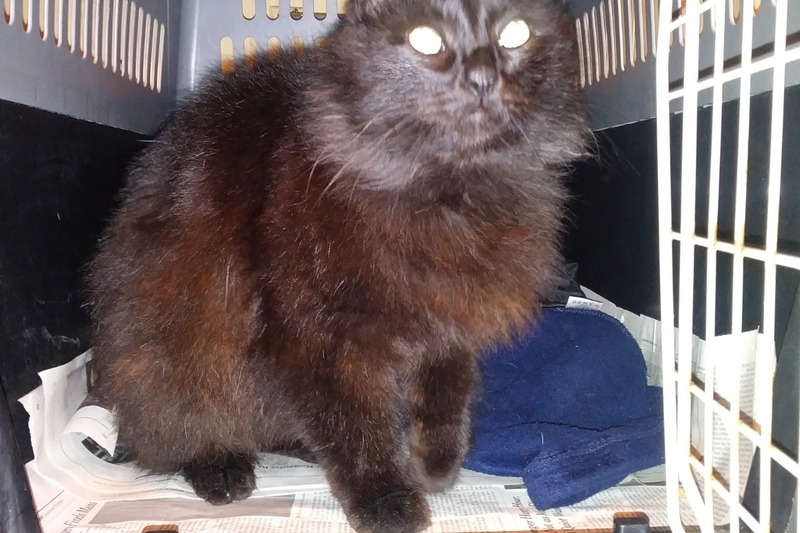 She is now back with Cat Town as they try to reunite her with her previous owner, or find a new indoor home. 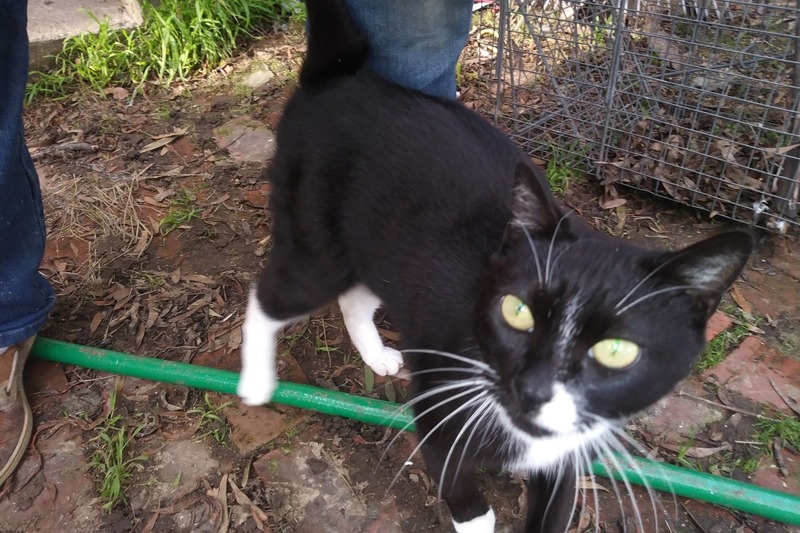 Then we have this sweetie senior Tuxedo, who was hanging around a backyard with some fixed ferals. She acted feral for a while, then apparently realized we were all wanting to shower her with love. It turned out she was chipped to someone who died. She was a youthful ten year old, very affectionate and so we're taking her to either OAS or Marin Humane, this week, depending on space. 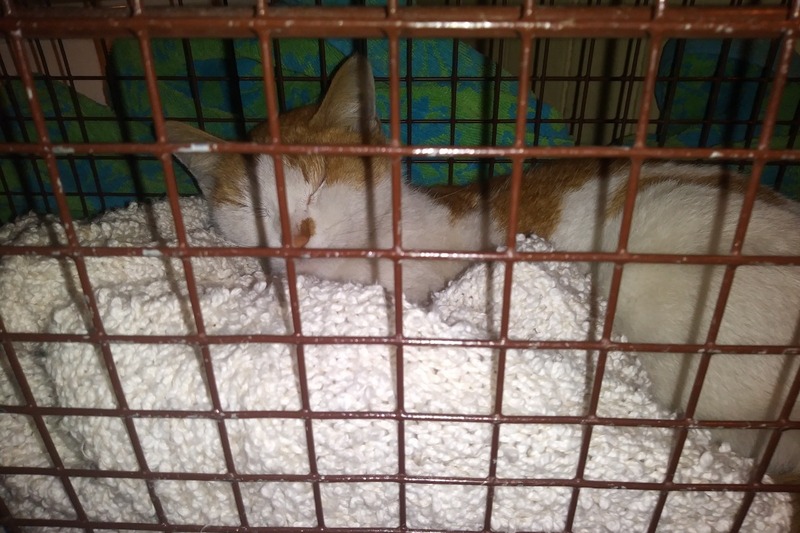 We trapped a very sweet cuddly orange and white boy, who had been hiding out with some ferals. It only took him overnight to show his true self. He rolled around on the soft plushy, eating and stretching out, purring. Sometimes the cats don't show us their true personalities for a while. We got this loverboy neutered, etc., and he was quickly adopted, after the hold period. 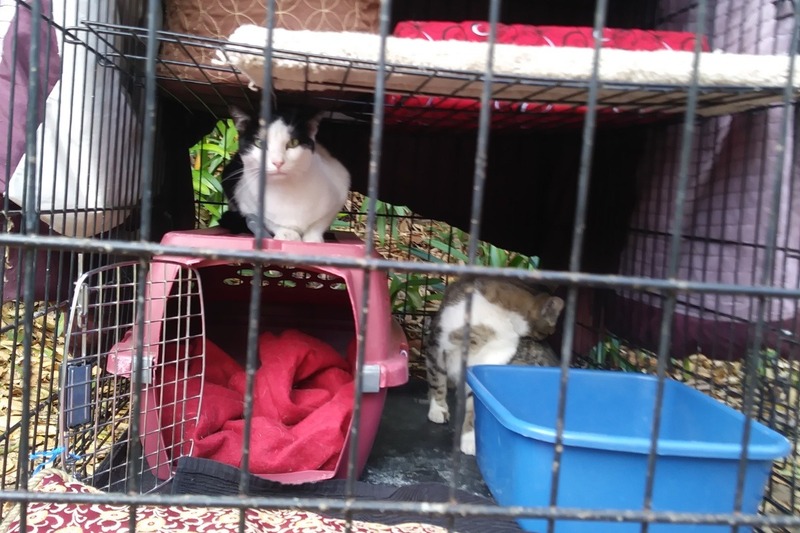 Meanwhile, we've recently relocated several at-risk Oakland street cats who were not tame enough for traditional inside homes, but perfect for well vetted backyard and "Barn" homes, with caring adopters. We are especially touched and appreciative of the loving home- a huge barn on a large high-fenced estate in Orinda, provided to a senior tuxedo and middle aged black and white boy. She named them Bilbo and Fredo, and these boys are starting to snuggle together as they finish the month adaption process. They'll be free to roam outside of the barn this week. One cat we took to Marin Humane in November, who needed a bit of TLC, was adopted. We have sent four of a litter of five to Marin Humane and foster. These are from a longterm project that just wound down on busy 14th Ave., across from Highland Hospital. Most of the cats we removed over the last couple of years were feral/semi feral, and through networking, were relocated to safe garden/barn homes. These five were underweight, shy, but after weeks of food, Vet care and love, have blossomed. Wesley, the skinny boy is still with us, gaining weight. 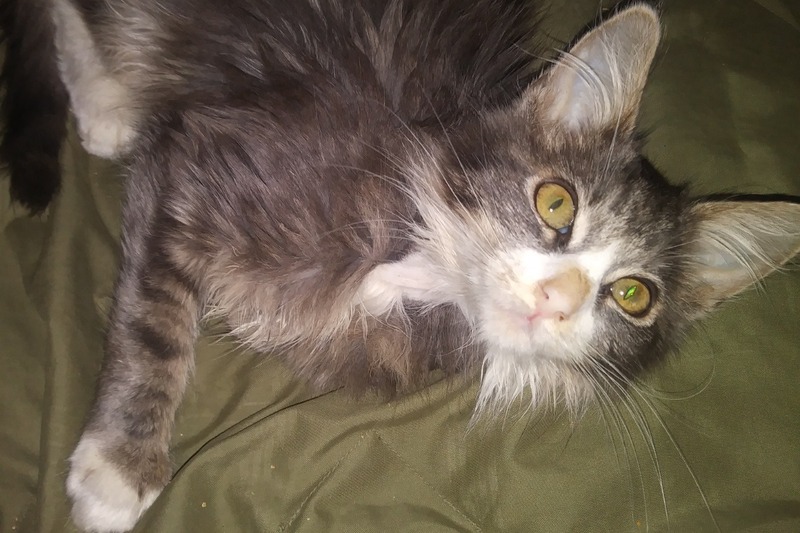 He was healthy enough to be neutered and get his shots, and will head to adoption in a couple of weeks. He is the runt, was sickly, and was not bonded with the others. We've been TNRing like crazy all over, getting an average of eight cats per week spayed/neutered, vacc'd, flea treated, etc. I meant to post this a few weeks ago. These two cats, from the main photo of this fundraiser, turned out to not be so tame after all. They were too under-socialized to take to Marin Humane, but through our outreach, found a wonderful garden home for these two, in Orinda. The cat savvy adopter wanted two outdoor cats as company, since her garden cat had died recently. They are shown here in their adaption cage, where they spent three weeks. 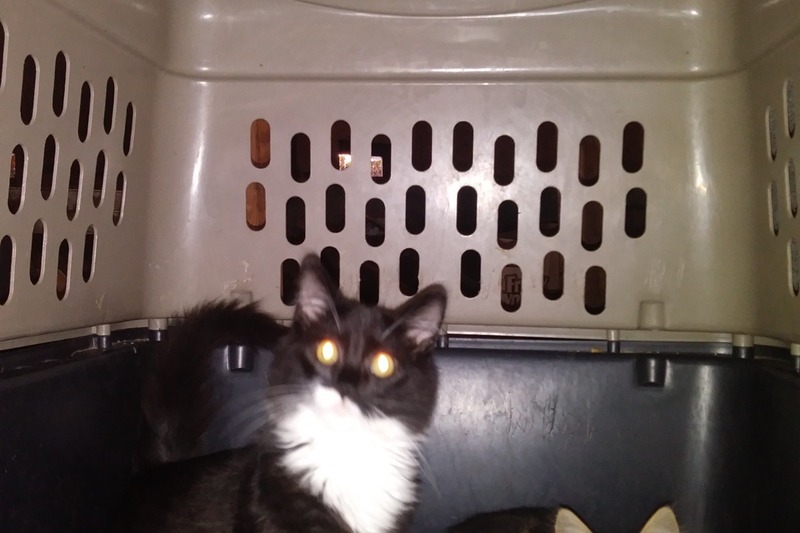 They've been released, are safe, playing, hanging around, climbing trees, and have a couple of "cat houses" to sleep in.